Every startup begins with an idea. Imagine that the startup is your “house” and idea is its “foundation”. What does happen to the house with a poor foundation? Sooner or later it falls down. If you want to reduce the possibility of getting into the list of the 90% startups that fail, it’s a must to validate your idea. No matter how wonderful and life-changing the idea might sound to you, do not fall in love with it, stay cold-blooded, measure its competitive edge and analyze the benefits to your potential customers. The best way to clear up all the doubts and find out whether your idea is feasible is to create an MVP (minimum viable product). In other words, an MVP is a small version of your product with the most essential features that help to attract early adopters and collect their feedback for the further development of the product. How long does it take to launch a polished product, packed with all the possible features? Months or even years, it’s definitely not a one-day process. Now ask yourself how patient you are and whether it makes sense to wait 1 year, hoping that your efforts will not be in vain and your project will succeed. In this fast-paced and competitive market, it is definitely not the best way of running a startup. If you would like to release your product fast and to see results, consider focusing on developing ONLY the most important features (at the beginning), so you can present your product to a small segment of the market in its rawest form. It won’t look as pretty as you wanted it to look when you had the original idea, but it will be tested before you run out of cash, energy & motivation, and you will have an edge over other companies developing the same product. It is vital to validate the concept of your product. An MVP will help test your product and understand whether your product can solve the specific problem your customers have. You will receive priceless feedback from the first people that use your MVP, that will be either a green light – signaling you that you are on the right track or red light – highlighting the weaknesses of your product or alerting you that your concept isn’t the best option in the marketplace or doesn’t really solve their problem. With all the collected data, you will be able to plan the next steps and prevent bad investments. Money is one of the key factors that influence the development of your product. The wrong allocation of capital is a quite costly mistake. In order to avoid unwanted loss funds, it is better to start with MVP. Let’s take, for instance, at the co-founders of Airbnb, Brian Chesky and Joe Gebbia. Instead of hiring dozens or programmers or spending months on the development of a complex website they began with an MVP. They have simply uploaded pictures on their website to test the demand on their idea; soon they realized that the only thing customers needed to close a deal is a possibility to check out the pictures of the apartment and the price, that was it. That is the power of MVP. Without cluttering your product with 101 features, you can easily validate your idea and plan wisely further investments. *Read also: How To Avoid Burn Rate In Startups? Creating a product is a grueling and challenging process. It is impossible to avoid bugs and problems during the development process. Very often your team will have to redo, make some changes or even do everything from scratch. However, with an MVP, the iteration process is way easier, since you will be able to identify unwanted and/or “too” complicated features from customers’ feedback on the very early stage of your product development, and therefore reduce the rework time to the minimum. Instead of wasting time redoing everything, your team will be able to look through the customer reviews and make only the crucial changes. If you are not one of the lucky ones to have a couple of million to fuel up your startup, you might be interested in looking for someone willing to invest in your project. However, having nothing but your idea written on the paper won’t get you very far. Nobody wants to risk and invest in some hypothetical product full of unproven assumptions. Investors want to see a proof that people will buy and use your product. That’s when MVP comes in handy. MVP is already a small representation of your product with feedback and first clients. Therefore, it will significantly increase the chances of your startup to be noticed by investors. One of the best examples of a simple MVP with a plain design is the location-based social platform Foursquare. Naveen Selvadurai and Dennis Crowley released the MVP version of Foursquare with only 2 features: (1) check-ins and (2) awards in the form of badges. Then they began gathering and analyzing the feedback of users. As a result, very soon they added features based on the recommendations from users, such as city guides. 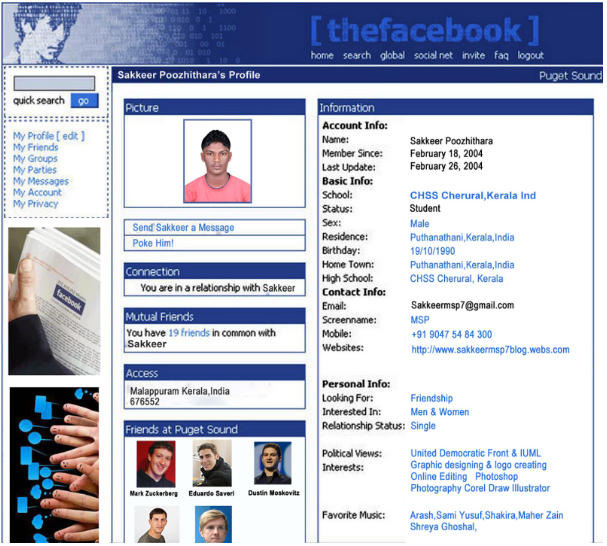 Nowadays this application is used by millions of people. A bit later it expanded to Yale, Stanford, and Columbia. Finally, from the platform for students, it transformed into the international platform with a lot of new features that ease the communication all around the world. 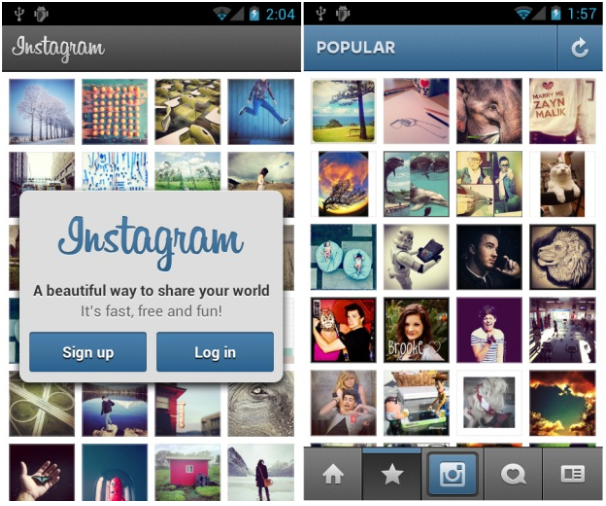 Instagram appeared as a simple application for sharing photos with a limited number of filters. The market was already full of various photo editing tools, so the company had to come up with something new. Then, every year, Instagram was evolving and adding new features such as direct messaging, Boomerang videos, Stories and plenty more. From the MVP with the minimum of available features, Instagram turned on into a unique social media platform. We can help you transform your idea into a simple, yet powerful MVP product. 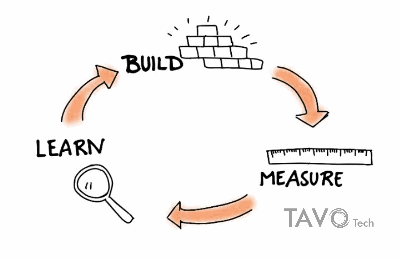 The process of developing an MVP with Tavo Tech is absolutely transparent. You will be able to control the whole development process, sharing your instructions and recommendations. Before creating your MVP, we will carefully analyze your idea, needs, and expectations. Then, together with you, we will make a step-by-step plan for the development process. As soon as the goals are clearly identified and a plan is laid out, Tavo Tech team of developers and designer will get to work, constantly updating you on the progress of the MVP development. Once the MVP is created, we will test it with you to make sure that it works properly and every feature is available for your potential customers. Also, in case of any problem with the functionality of your MVP, you are always welcome to contact us. We will solve the issue and help your startup succeed. Do not hesitate to contact Tavo Tech for a free consultation right now. This entry was posted in Startup and tagged Blog, MVP, Prototype, Software development, Startups. Bookmark the permalink.